NIS America have announced Ys VIII: Lacrimosa of DANA will be coming West on September 15. Players can get their copy on the PlayStation 4, and PlayStation Vita either physical or digital, as well as via Steam. Featuring dual audio, and in game text in French and English we return with a brand new adventure. Adol wakes shipwrecked and stranded. Stranded on a cursed island of course! He and other passengers that he rescues form a village. As they challenge beasts and scour the ruins Adol starts to dream of a mysterious blue haired maiden living in an unknown world. Ys VIII: Lacrimosa of DANA Headed Westward This September! Santa Ana, CA (May 25, 2017) – NIS America is proud to announce that Ys VIII: Lacrimosa of DANA will be coming to North America on September 12 and Europe on September 15 for PlayStation®4 and PlayStation®Vita as both a physical and digital release, as well as digitally on Steam® (Windows). The game will have dual audio (English and Japanese) as well as in-game text in English and French. 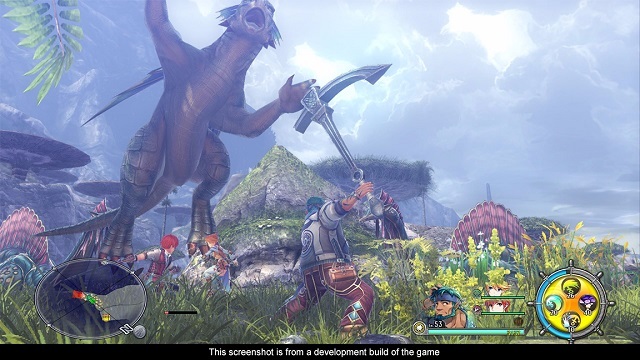 An Epic Tale – Follow Adol on his latest adventure and uncover the mysteries of the cursed island. Party On! – Change your playable character on-the-fly as you battle ferocious foes in lightning-fast combat.